What is the greatest danger to child sexual abuse victims? Silence. 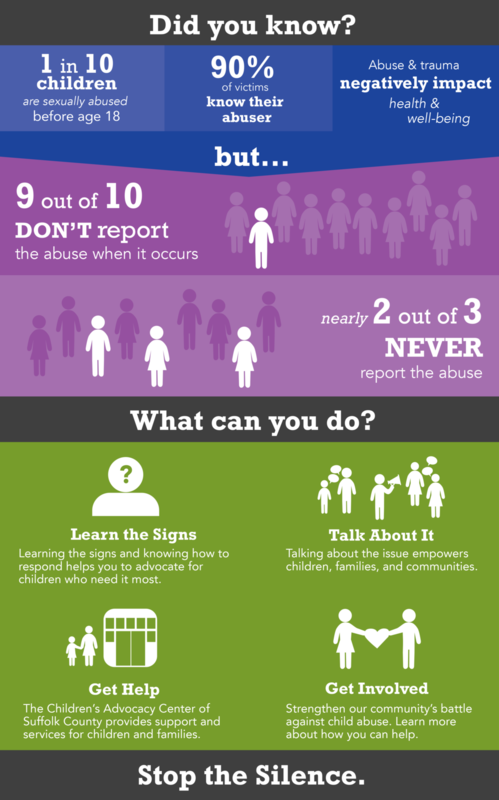 Too often, children are afraid to speak up – their abuser may have threatened them or they are worried their parents will be angry. Children need to know that they have someone to go to who will help them.